Luminex is gearing up for ECCMID 2019, and we hope to see you there! We are excited about the opportunity to share our clinical insights and deliver flexible solutions for your healthcare system. Plan to stop by our booth to discuss our molecular, sample to answer platforms, the ARIES® and VERIGENE® Systems, as well as our infectious disease portfolios, including our respiratory and gastrointestinal assay panels. If you're the creative type looking for solutions to complement your homebrew assays, we've also got you covered, as you'll be able to learn how to convert existing in-house assays into the ARIES® sample to answer format. From an interactive virtual reality experience to in-depth product demos, this is your opportunity to connect with Luminex and take your first steps towards building the lab of the future. Our technical experts will be available to answer your questions about optimizing your experiments or developing custom assays. Please fill out the form below to schedule a time to meet with one of these experts! VERIGENE® II* is an exciting new product designed with Flex software, which helps labs save costs by asking customers to pay only for the targets which they select. After using Flex to break free from full-panel pricing, you're able to quickly adapt to your patients' needs, while also aligning with clinical guidelines. Stop by our booth for a hands-on VERIGENE® II demonstration, highlighting the features and solutions this new fully automated system will deliver for your lab, including ambient storage of test kits and up to six modules for random access testing at any given time. *The VERIGENE® II System is under development and not currently CE marked or FDA cleared for IVD use. For more information, please visit http://investor.luminexcorp.com/phoenix.zhtml?c=79403&p=irol-newsArticle&ID=2354407 or http://info.luminexcorp.com/request-information. During the ECCMID exhibit hours, we will have coffee and espresso available for all visitors. Be sure to stop by our booth to grab a cup and get to know Luminex! VERIGENE® bloodstream infection tests provide cost-effective bacterial identification and antibiotic resistance determination directly from positive blood culture bottles. This enables an earlier shift from empiric to targeted antibiotic treatment. As a result, the VERIGENE System may deliver better outcomes, improved patient care, and true antibiotic stewardship, all at a lower cost. Patient needs for respiratory testing can vary based on the age and overall health of the individual, and clinical laboratories have to adapt quickly to these changing needs. Our respiratory portfolio empowers clinicians to implement a flexible and scalable algorithm to manage the evolving needs of their healthcare system. Diarrhea caused by gastrointestinal pathogens represents a significant clinical concern for providers and patients, and a workflow burden for the laboratory. Rapid identification of the bacteria or virus is critical for optimal patient management, and to ensure no inappropriate or unnecessary treatment is provided. Women’s health, particularly in the area of infectious diseases, is critically important not only to women, but also their partners and children. When health issues arise, it’s important to get reliable and fast answers. We offer highly sensitive, accurate, and easy to use diagnostic assays that enable laboratories to provide physicians and patients with accurate answers in a time-sensitive manner. 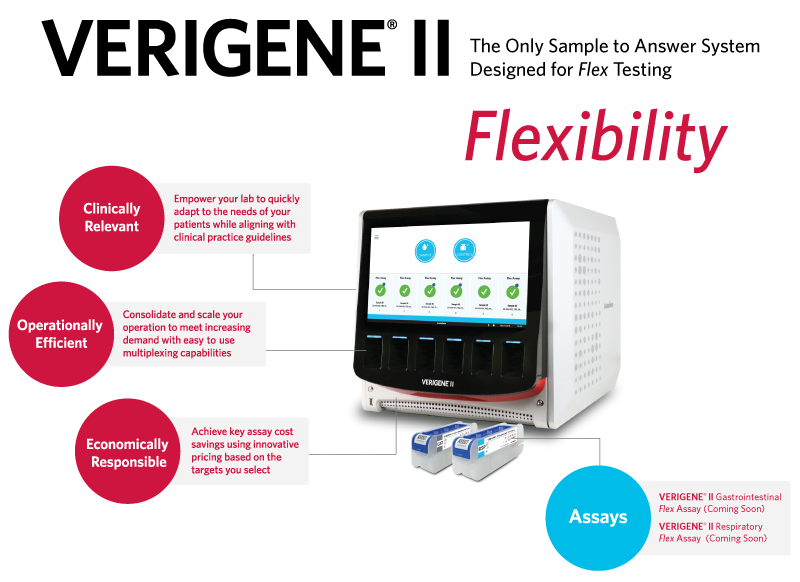 ARIES® Systems are real-time PCR, sample to answer systems that are crafted to increase laboratory efficiency, ensure result accuracy, and fit seamlessly into today’s lean laboratory. ARIES® allows your lab to control each aspect of the sample to answer testing process, from sample accessioning through result reporting. 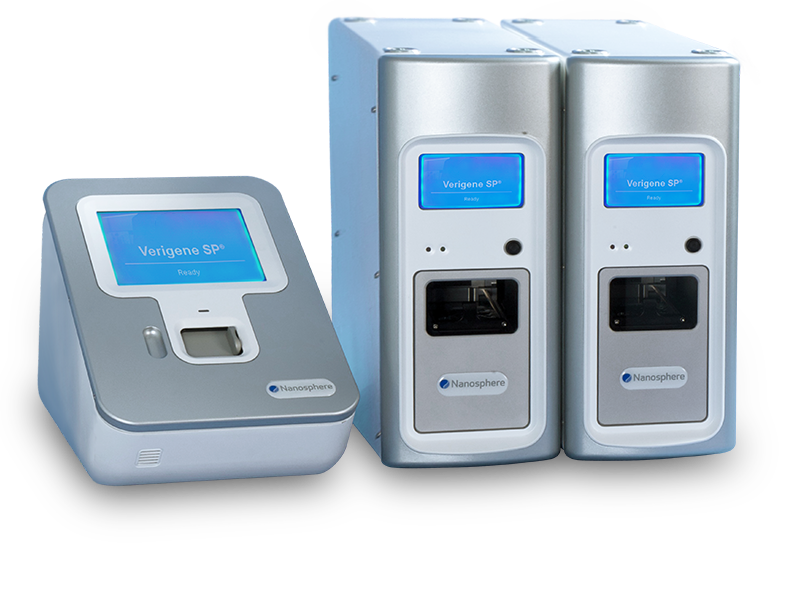 The VERIGENE System enables clinicians to rapidly identify the pathogens responsible for some of the most complex, costly, and deadly infectious diseases. 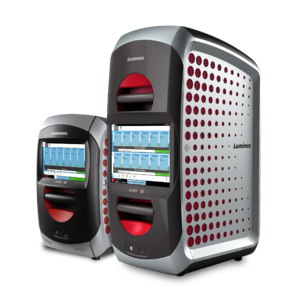 It offers automated, cost-effective multiplex capabilities that rapidly and accurately detect infectious pathogens and drug resistance markers, without relying on time-consuming culture methods. Delivery of this time-critical information enables clinicians to provide targeted patient care more quickly, potentially leading to improved patient outcomes, lower costs, optimized antibiotic therapy, reduced spread of antibiotic resistance, and most importantly, saved lives. 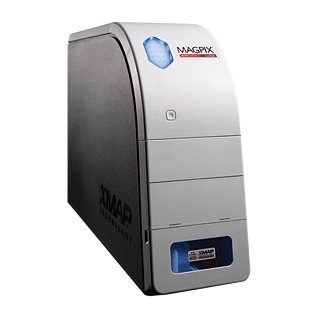 MAGPIX® is the simplest, most affordable, and most compact of Luminex’s xMAP® instruments. This compact multiplexing unit performs up to 50 different tests in a single reaction volume and reads a 96-well-plate in just 60 minutes. DISCLAIMER: Products are region specific and may not be approved in some countries/regions. Please contact Luminex at support@luminexcorp.com to obtain the appropriate product information for your country of residence. ARIES® Systems are class 1(I) laser products. ©2019 Luminex Corporation. All rights reserved. Luminex, ARIES, VERIGENE, MAGPIX, NxTAG, xTAG, and xMAP are trademarks of Luminex Corporation, registered in the US and other countries. Flex is a trademark of Luminex Corporation.